Update your office or home with the contemporary look of cordless aluminum blinds. This is a great value for either residential or commercial properties. This blind features sleek and smooth aluminum slats that are bend-resistant and offer privacy when closed. The steel head rail adds durability to the blind. This clean, contemporary look makes a practical, durable and functional dicor statement. 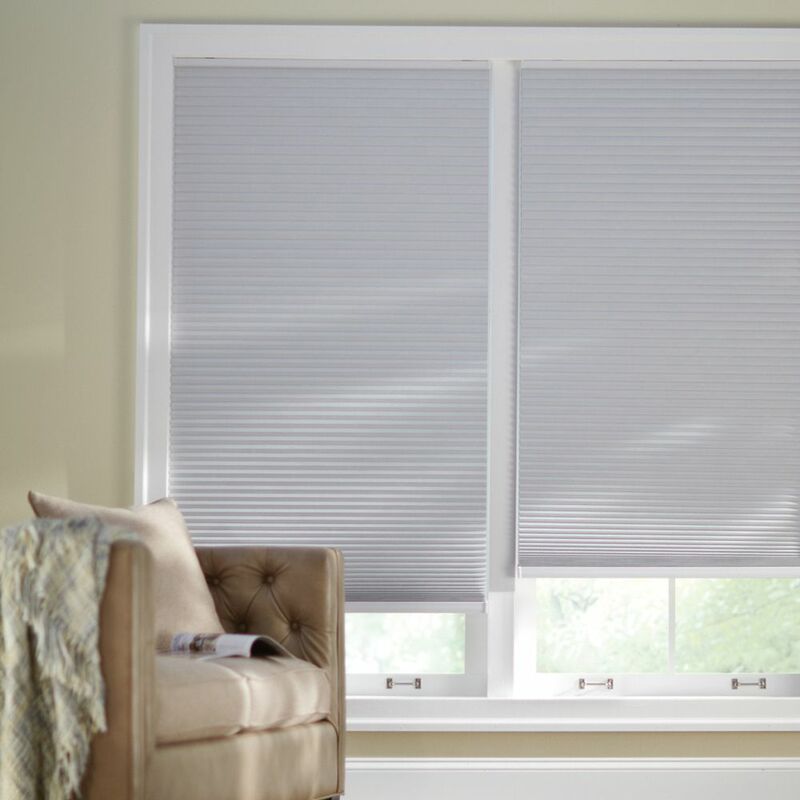 The Hampton Bay Vinyl Roller Shade provides room darkening and privacy. The durable, shades features cordless control for safe, easy operation. They can be easily trimmed to your desired width to fit windows of many different sizes. The white shade has a smooth surface for a clean look and can be cleaned by wiping with a damp cloth. Cordless Blackout Cellular Shade Shadow White 18-inch x 72-inch (Actual width 17.625-inch) Cellular Shades not only enhance your windows, and room but your wallet too. Energy saving Cellular Shades can save you money on heating and cooling costs by insulating your windows from heat and cold. Home Decorators Collection Cordless Blackout Cellular Shade offers optimum privacy and light blocking with maximum insulation. Best of all, this shade has a cordless feature allowing you to operate the shade without any visible cords, making it a child and pet safe environment. The honeycomb cells are made with durable fabric that form crisp, clean pleats to keep your window looking sleek.